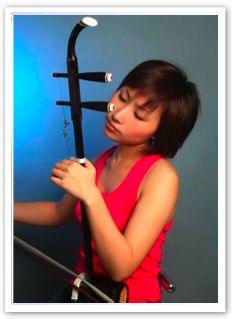 Familiar with erhu from an early age under the influence of the mother of Shanghai? ?Masamune ( schoolmaster ) musician , studied under erhu Daishi - OHisashi virtue Mr. famous in China . After arriving in Japan , debuted at the International Art Exchange Festival performances . Other erhu recital in Ichikawa City Cultural Center , I want to start playing activities in Japan and the rest of appearance of NTT DoCoMo concert . National Conservatory of Music is the highest peak in China , studying at the center Conservatory of Music by the Chinese government scholarship from '06 . '07 , I will participate in the CJK exchange concert in Korea , Seoul National Gugak Center Hall . >Addition to guest appearances at live '08 NHK World Radio , participated in the Asian Festival at Roppongi Hills Arena over . 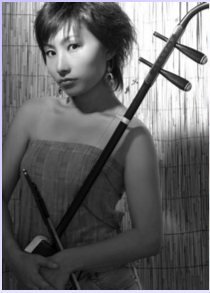 I have challenged the various genres such as collaboration and Japan Noh , with jazz band and " fantastic sound , such woven erhu , pipa and statement " . Released in '07 first album " bonds " .